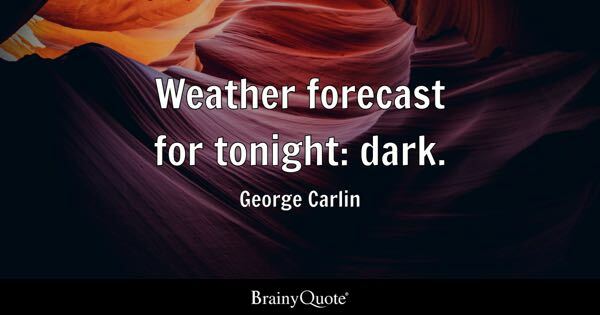 Loved Carlin’s Hippie Dippie weatherman routine. It’s too bad a plain quote isn’t a substitute for the way George presented his comedy… because (at least to me) a lot of what made him so hilarious wasn’t just the observations he made, but the way he presented them in his comedy routines. I still love watching some of my favorite skits of his on YouTube… the guy was a genius!